Remember days gone by with the taste of hot cider? 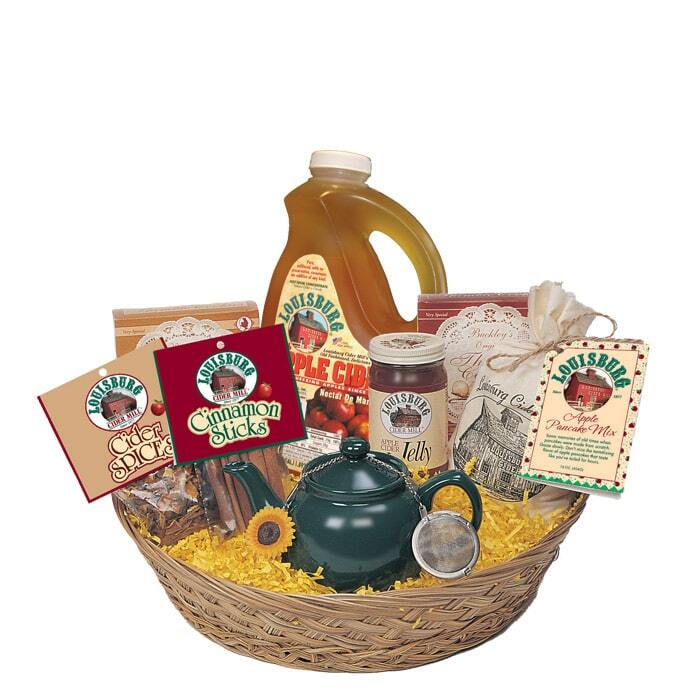 Our basket is packed with 1/2 gallon Apple Cider, Cinnamon Sticks, Cider Spices, a Teapot with infuser, Apple Pancake Mix and our 1/2 pint of Cider Jelly and two seasonal Snack Treats. Call for choices or be delightfully surprised. Enjoy!